In remarks more natural for his hawkish predecessor, Vladimir Putin, President Dmitry Medvedev said the latest revolts in the Arab world were instigated by outside forces that were also scheming to topple the authorities in Russia. "Let's face the truth. They have been preparing such a scenario for us, and now they will try even harder to implement it," Medvedev said at a meeting with the country's top security officials in Vladikavkaz on Tuesday. "In any case, this scenario will not work." Medvedev would not identify whom he meant by "they," but the finger-pointing brings back memories of the Kremlin's jittery reaction to popular uprisings that toppled entrenched regimes in Georgia, Ukraine and Kyrgyzstan in the 2000s. At the time, then-President Vladimir Putin and other senior officials publicly accused the West of meddling. Moscow had wielded strong influence in those former Soviet republics. Medvedev, for his part, has avoided confrontational rhetoric with the West and has not delved, at least publicly, into conspiracy theories about foreign enemies plotting against Russia. But the radical Russian opposition has started speaking of the possibility of regime change patterned after the popular uprisings that ousted longtime leaders in Tunisia and Egypt in recent weeks and sparked large street protests against the rulers of Libya and, to a lesser extent, Bahrain, Iran and Yemen. Much of the Russian discussion has taken place on social media web sites like LiveJournal and Facebook, while Facebook and Twitter are believed to have served as a powerful mobilizing tool for protesters in North Africa, especially in Egypt. Deputy Prime Minister Igor Sechin this week publicly named Google as a force behind the regime change in Egypt. "One should examine closer the events in Egypt," Sechin said in an interview with The Wall Street Journal published Tuesday, "to look into what high-profile Google managers had been doing in Egypt, what kind of manipulations with the people's energy had taken place there." Sechin was apparently referring to Wael Ghonim, an Internet activist and senior Google manager who energized protesters through Facebook and live public speeches. But the U.S. State Department also created a minor stir last week by initiating Twitter services in Arabic and Farsi, explaining in official statements that it recognizes the role of the social media in these parts of the world. While social media is popular in Russia, the likelihood of an uprising similar to those in Egypt and Tunisia is next to impossible because of an absence of a widely shared ideological platform for a protest, political analysts said. The reason, several analysts in Russia and abroad said in interviews, is because the Russian Orthodox Church is closely aligned with the secular authorities, Putin's government conducts social policies that effectively pacify the impoverished, and the remaining fragments of the political opposition are scarce, divided and not supported by a meaningful proportion of the population. Meanwhile, one of the country's most prominent experts on the Arab world, former Prime Minister Yevgeny Primakov, played down the notion that the United States might have played a role in the North African unrest. "The factor of an outside provocation should be completely ruled out," he said on Russia Today television this week. Primakov said he was in Washington during the Egyptian turmoil and had met many former and current U.S. diplomats. "I am firmly confident that the scope that these developments reached in Egypt provided a true shock for the Americans," he said. Medvedev's warning about threatening outside forces suggests that the Russian ruling elite has a poor grasp of the country's political reality and genuinely fears an Arab-style uprising, said Andrei Soldatov, an analyst with the Agentura think tank. "Also, Medvedev positions himself as the biggest Internet expert among the ruling elite, and he believes in the capacity of social media to mobilize the masses," he said. Adding to the Kremlin's worries is the message conveyed by the State Department that it is possible to kick off a revolution with the help of Twitter even if a country has a weak or nonexistent opposition, Soldatov said. Medvedev's remarks may be the result of his closer involvement with senior security officials following a recent series of terrorist attacks, and he has been influenced by their mindset rich with conspiracy theories, said Alexei Mukhin, head of the Center for Political Information, a Moscow think tank. "It looks like Putin has convinced Medvedev that Americans are not friends and he had better think twice before accepting a new iPhone from them," he said, referring to a gift given by Apple CEO Steve Jobs in June 2010. Medvedev was visiting the United States as part of his and President Barack Obama's effort to "reset" relations between the two countries after they sank to a Cold War low during Putin's second presidential term. Separately, Medvedev suggested during the meeting in Vladikavkaz that the letter of the law could be ignored — comments that appeared at odds with his background and public posture as a trained lawyer and legal expert. Speaking about an initiative to move criminal trials and the pretrial custody of suspects in the North Caucasus outside their native republics in order to undercut any influence on judges and juries, Medvedev said: "I believe in this situation we can also allow ourselves to walk away from the canons of the criminal and procedural laws. 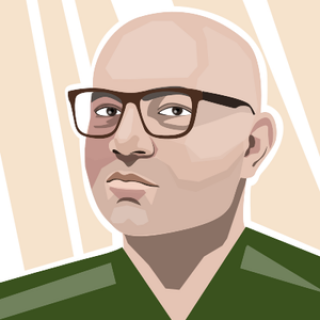 Stop considering this a sacred cow." The law now requires that suspects are kept in custody and tried at the place where they live or allegedly committed the crime. "If this obstructs our life and prevents us from meting out justice effectively, let's do it. 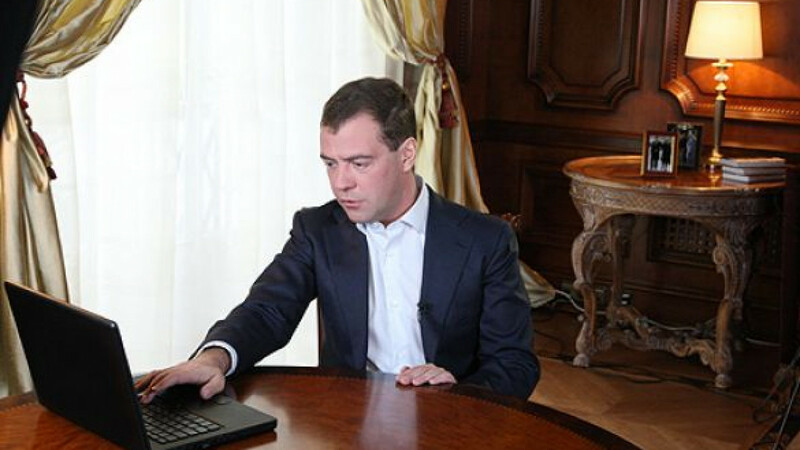 … People will understand us," Medvedev said in comments posted on the Kremlin web site.